The Computational Biology Department is located on the 7th floor of the Hillman Center for Future Generation Technologies on the main campus of Carnegie Mellon University, just off Forbes Avenue in the Oakland neighborhood of Pittsburgh. 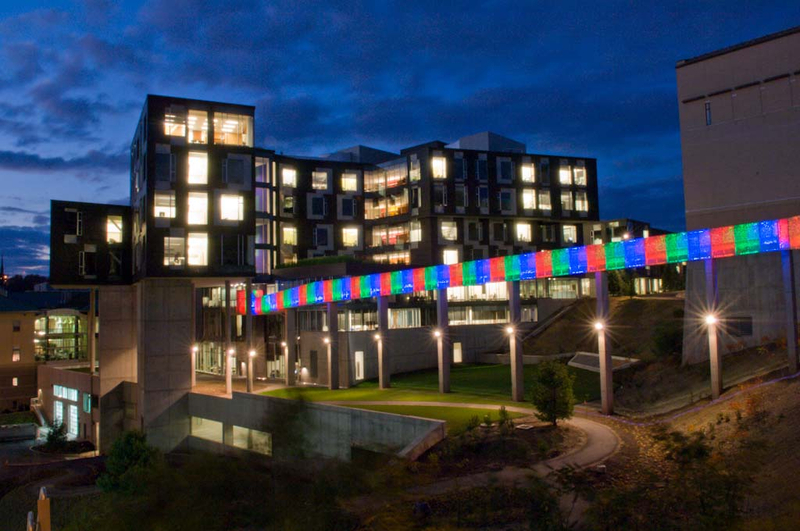 The Hillman Center is part of the Gates-Hillman Complex, the home of the Carnegie Mellon School of Computer Science and winner of a 2012 AIA Institute Honor Award for Architecture. The Hillman Center was constructed by way of a generous $10 million gift from the Henry L. Hillman Foundation. The Computational Biology Department contains offices for faculty, students, and staff, as well as meeting rooms. It offers expansive views of the Oakland skyline.